The Mini-Hollands programme will give three outer London boroughs – Enfield, Kingston and Waltham Forest – the funding to transform local cycling facilities and encourage people to take to two wheels. 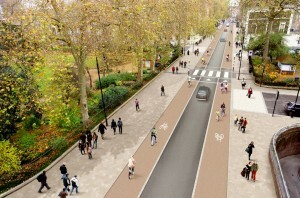 £100m shared between the boroughs will help make them as cycle-friendly as their Dutch equivalents. Part of the Mayor’s Vision for Cycling, the investment will benefit all road users by funding substantial improvements to streets and better facilities for pedestrians. Richmond bid for mini Holland funding several years ago but was unsuccessful. 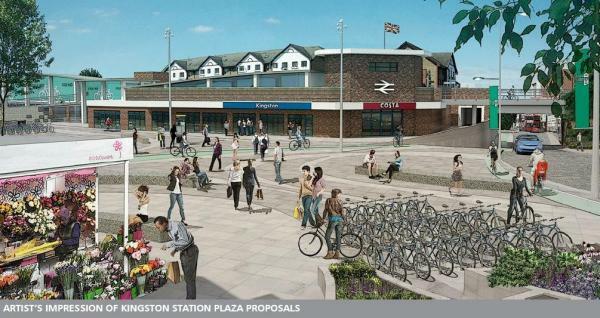 However schemes such as the segregated cycle path that is being consulted for London Road is being covered by a smaller pot of funding that Richmond received. 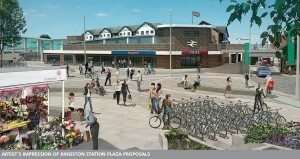 Also there is talk of an upgraded A316 cycle path from mini Holland funding. We’ll keep you posted. 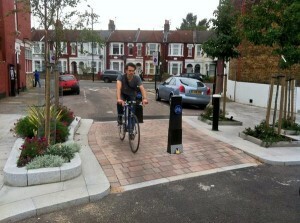 Kingston our neighbour was awarded 30 million pounds for its mini holland scheme. It has since been branded ‘Go Development’ details are here. Some quite impressive schemes I think you will agree. We need to help our friends in Kingston ensure that it is executed well so we’ll keep you posted here of consultations or progress. A successful mini holland will help us all when we visit Kingston and will also demonstrate to Richmond how cycling can be a great transport choice when the infrastructure is right. First task is to take the Wheatfield Way Survey and ask for cycle tracks that are separate from motor traffic.